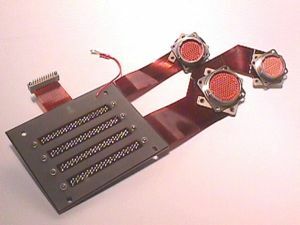 Flexible Circuits Designed by Flex Technology Inc.
We support your full production needs. FTI will produce "proof of design" units for form, fit and function verification. FTI will run small to medium quantitites for test production. FTI will support your full production need. We will deliver "just in time," "kanban" or any unique stocking requirment you may require. FTI will provide product in "web" panel form multi-up for surface mount assemblies, tailored to easily mount on most component assembly machines. Today there is a wide variety of metals, insulating films and adhesives that are used to achieve specific electrical and mechanical performance. Flex Technology's Design Guide provides complete details on the materials available and is available upon request. 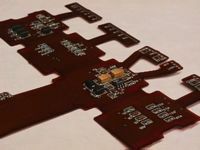 Are you looking for fully functional flexible PCBs, assembled, and tested? When it comes to flexible PCB assembly services, Flex PCB is one of the premier assembliers in the USA and China. 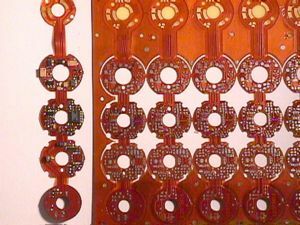 Check out their various rigid-flex and flex PCB assembly capabilities and services here: flexpcb.com/assembly.